Hopefully the ghosts will come out to play during the 90 minute Haunted Walk of Toronto tours through old places in Toronto like the St Lawrence Market - they even talk of the old hanging grounds near the market. 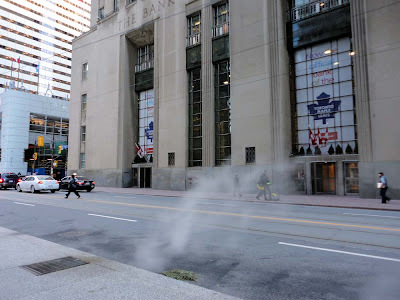 Scary apparitions and haunted locations leap into our imaginations as we head into Halloween season and the Haunted Walks have harnessed the power of fright with a tour that departs from the Distillery District and ends at the Hockey Hall of Fame. On special nights they even tour MacKenzie House and hear stories of horror. 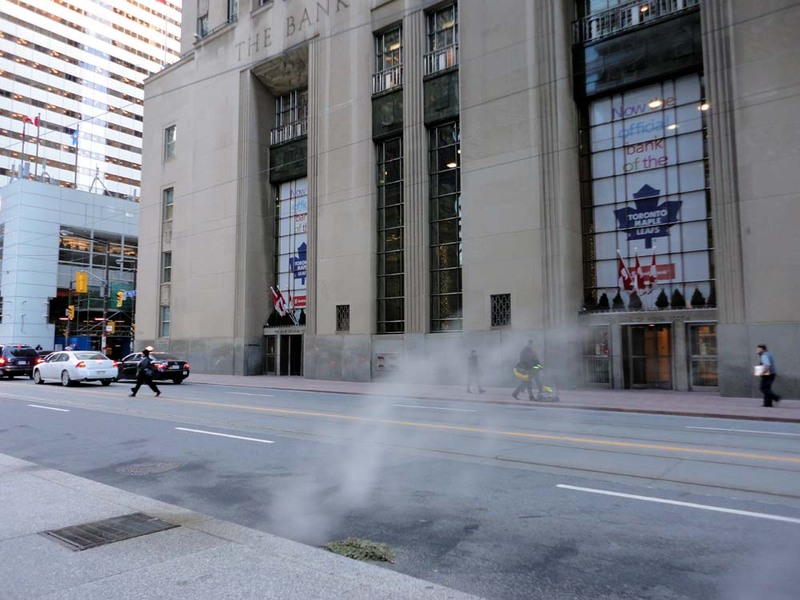 I am pretty sure that the ghost of Stanley Cups Past comes out in front of the blue maple leaf in the photo at top. "This Hallowe'en we are pleased to announce a special tour! On select nights we will be offering a slightly different tour, beginning at the Segway office as usual, but ending our tour at Mackenzie House, one of the most famous haunted spots in the city. After the tour, guests will get a chance to explore the haunted rooms of Mackenzie House and hear the stories of the staff who work in the building." The tours during this time of the year happen Fridays and Saturday with special Halloween tours to be announced. You can do the Zombie Walk and do the Haunted Tour for a double shot of Terror on Saturday October 20, 2012. There are many places in Toronto where people claim to have seen ghosts and this is your chance to explore these areas - if you dare.